Consists of a composite two piece, lined instrument case covered in black faux shagreen. Interior of the lid is lined in padded crimson velvet material. Base is lined with unpadded crimson/purple velvet and has inserts to receive the instruments. 31.3cm in length, 12.1cm in depth, 3.7cm in height. 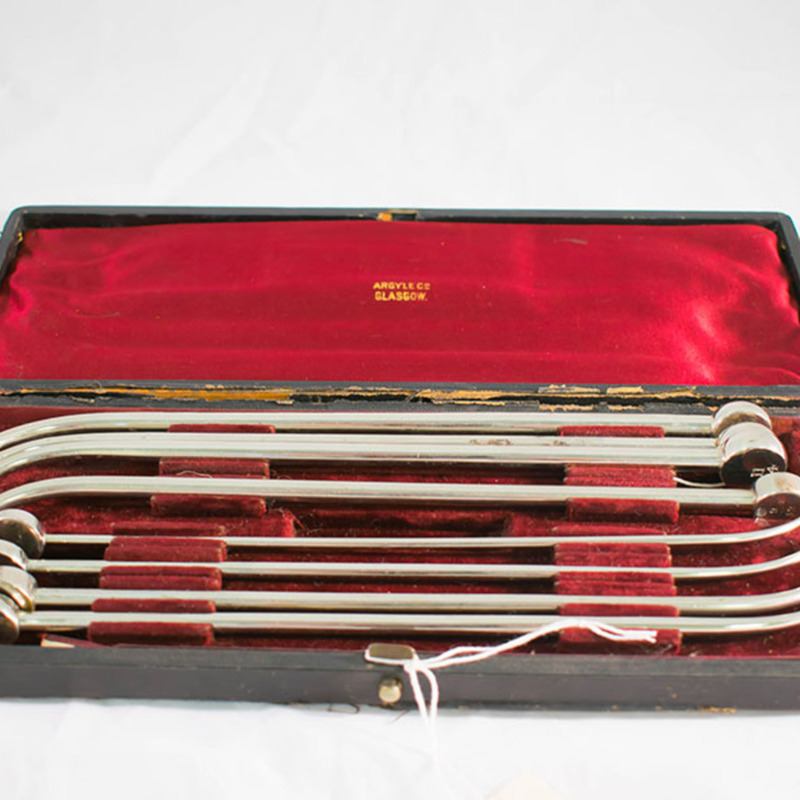 “Cased set of Uterine Sounds,” Heritage, accessed April 25, 2019, https://heritage.rcpsg.ac.uk/items/show/490. Description: Consists of a composite two piece, lined instrument case covered in black faux shagreen. Interior of the lid is lined in padded crimson velvet material. 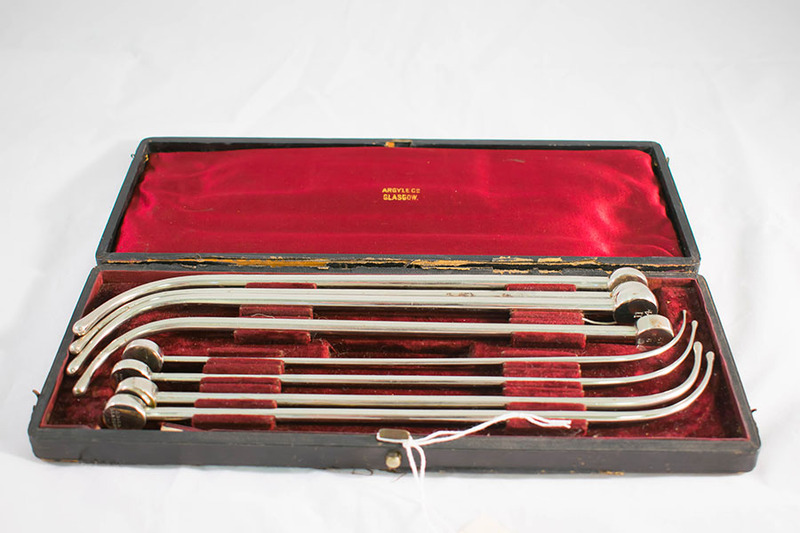 Base is lined with unpadded crimson/purple velvet and has inserts to receive the instruments.